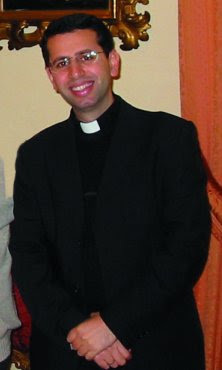 Fr Schofield (Roman Miscellany) has a post about Fr Ragheed Ganni, a 35 year old Chaldean priest who was murdered along with three deacons as they were driving away from Mass at Mosul. The assassins the booby-trapped the car. Some reports attribute this to a desire to cause further carnage. The intention may also have been to subject the bodies to humiliation. If so, that would have been a mistake. These men were clearly murdered propter odium fidei (on account of hatred of the faith). Their bodies, exhibited the wounds they suffered in union with Christ in his passion. They will surely be among the white-robed army in heaven. Gerald Augustinus points out (Where's the outrage?) that the coverage of this story in the mainstream media has been, well, muted. The evidence of this is available for all to see in a simple google news search. For some appropriate coverage, see the Assyrian News Agency.